Mother knows best! Angelina Jolie is “always coming up with fun things to do” with her six kids, a source reveals exclusively in the new issue of Us Weekly. The 43-year-old actress shares Maddox, 17, Pax, 15, Zahara, 14, Shiloh, 12, and 10-year-old twins Knox and Vivienne with ex-husband Brad Pitt. The twosome, who called it quits in 2016, settled their custody battle in November 2018. Jolie’s activities with her kids include everything from going to a Buddhist temple to spending time with influential thinkers and artists such as Loung Ung, the author of First They Killed My Father or PraCh Ly, the Cambodian rapper and filmmaker, a second source adds. 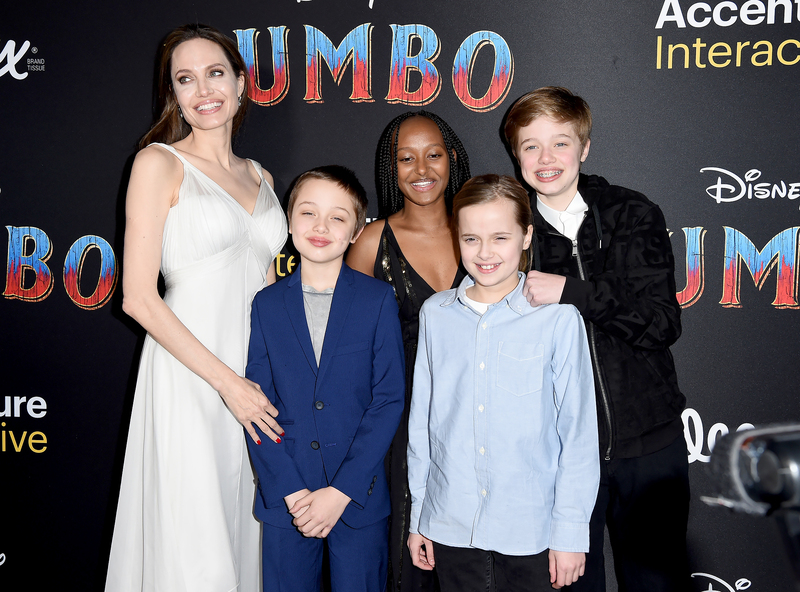 Most recently, the Maleficent: Mistress of Evil star brought her four youngest children to the premiere of Dumbo. “The kids seemed really polite and well-mannered and happy to be together, just talking quietly among themselves and finishing up their food,” an eyewitness told Us of the March 11 pre-party at the Dolby Ballroom in Los Angeles. For more on Jolie’s life as mother, watch the video above and pick up the new issue of Us Weekly, on newsstands now!